Making the perfect urinal isn’t easy. 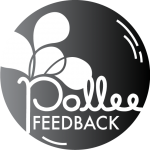 We want to improve Pollee and would love to hear your thoughts. Please feel free to share ideas on peeing – and how to make it easier.